Commercial Pipe Installation, FishHawk, FL | A Step Above Plumbing Inc. Commercial Pipe Installation, FishHawk, FL | A Step Above Plumbing Inc. Regardless of how extensive your commercial pipe installation project in FishHawk, FL is, our main goal will be to go above and beyond your expectations. Pipes are not designed to last forever. 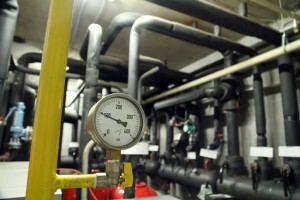 For this reason, you may find that you have to replace some of the piping at your business’ location every so often. The next time you need someone to install some pipes in your building and you want to make sure the job is done right, leave things up to us at A Step Above Plumbing Inc.
After we get the commercial pipe installation process started, we will maintain a high level of professionalism and do everything we can to complete the job as quickly as possible, without sacrificing for quality. Additionally, we will communicate with you throughout the duration of the project, so you know what’s going on at all times. Regardless of how extensive your commercial pipe installation project is, our main goal will be to go above and beyond your expectations. To find out more about how we can ensure the efficiency and functionality of your plumbing system and why we are the ones for your next pipe installation project, give us a call at A Step Above Plumbing Inc. today.